Dancing with the Stars Season 11: Jennifer Grey, Florence Henderson and Kurt Warner? For a while, Dancing with the Stars was the guiltiest of our pleasures. DWTS was a show we covertly raced home to watch so we could clandestinely tuck into all the sequin-studded, spray-tanned deliciousness without judgment. Watching D-listers and favorite relics of our childhood (ie: The Holy Joey Trinity — Joey Lawrence, Joey McIntyre, Joey Fatone) twirling and dipping and feigning eager excitement over glitter score paddles was just too delightful to pass up on the early days of Dancing with the Stars. And we’re not even gonna lie, we totally have the hots for Derek Hough. But in recent years, Dancing with the Stars has started to lose us. We still love to watch Derek serve dancer fare and listen to the band perform their wedding reception versions of pop hits, but the show has lost its wonderful, genuine earnestness. We blame the producers’ casting choices. Last season, thanks to the inclusion of obvious ringer and eventual winner (which we called from day one), Pussycat Doll Nicole Scherzinger, who learns choreography, dances and performs for a living, world’s meanest mommy Kate Gosselin and creepy Bachelor sociopath Jake Pavelka, we stopped watching after a few episodes. Sure, seeing Nicole kill every routine was enjoyable, but we just couldn’t handle Jake’s forced, dead-eyed smiles or Kate’s crocodile tears. Now, with the release of this year’s cast, we’re afraid Dancing with the Stars’ season pass just got deleted from our DVR. The women competing are Brady Bunch mom Florence Henderson, comedienne Margaret Cho, singer Brandy, Bristol Palin (can someone explain how the hell she got the title of “star?”), The Hills starlet Audrina Patridge and, finally, the single, solitary reason we might actually force ourselves to watch a few episodes, Jennifer Grey — star of our favorite movie of all time, Dirty Dancing. Our heart breaks at the knowledge that Patrick Swayze was a huge fan of DWTS and would surely have made an appearance with Jennifer Grey, had he not passed away last year. Between Jersey Shore and The Hills, it’s obvious DWTS is vying for a younger demographic, but this season’s cast is so chock full of repellent characters (a Palin? Seriously? A Palin! 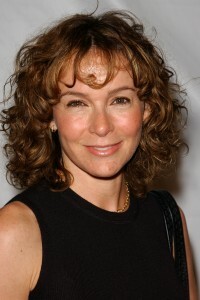 ), even with Jennifer Grey, we can’t bring ourselves to sit through the season; though we’re seriously hoping Grey wins.